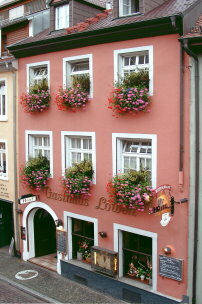 Gasthaus Löwen - Hotel & Restaurant | Freiburg old town | in the heart of the town center - Welcome to the "Löwen"
Comfy guest room, home-style cooking and a family atmosphere for the guests were always good reasons to vacation or to spend an eveningin in our restaurant. Our commended kitchen offers regional and international dishes, even at late-hours. A homely atmosphere comforts our guest in our house.